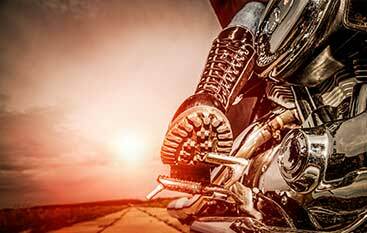 Upgrade Services | Biketailing Specialties Inc. The two-step coating system that delivers, with the first coat, a durable and long-lasting protection and, with the second coat, unparalleled hydrophobic and glossy qualities. The most advanced ceramic coating for detailing professionals. Q² Syncro offers incredible slickness and repellency. The Q² Mohs base provides hardness and significant durability. Q² Skin is a thick and flexible topcoat that provides great self-cleaning abilities. Pure quartz protection – thick, hard and extremely hydrophobic. Q² Pure brings the appearance of the paintwork to a new level, delivering pure candy gloss. Its thick formulation requires only one layer, making the application process quick. Q2 can be layered for increased longevity. Unique quartz coating for matte paint. Enhances color without changing the finish of your matte paintwork. Extremely hydrophobic and designed for maximum durability on matte finish Motorcycle paint. Prevents discoloration and oxidation, protects against strong chemicals, road salt and UV-rays. The coating is resistant to any chemicals with a PH value from 2 up to 11. Matte finishes can be tricky; they look modern and sleek, but upkeep can be a pain. One wrong product can leave splotches, smears, and stains marring the perfect finish of your car. Forget those “tips” other people have given you for your matte finish, GYEON has done the hard work for you and provided the first coating of its kind – a coating made JUST for matte finishes. GYEON Q2 Matte will not hurt your matte finish – it will only leave the surface protected against the elements and imbibed with self-cleaning and increased water-beading capabilities. GYEON Q2 Mohs Ceramic Paint Coating that wraps your vehicle in a durable layer of protection. This incredibly advanced formula actually boasts the ability to increase the hardness of paint by 3H on the Mohs scale, dramatically decreasing the effects of environmental contaminants and protecting against permanent scratches in the motorcycle paint itself. CERTIFIED DETAILERS ONLY, Designed for Professionals. GYEON Q2 Mohs+ Is an unique 2-stage coating system that provides both extreme scratchresistance and self-cleaning properties. 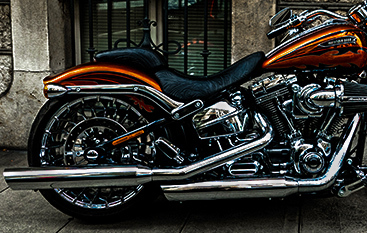 A pure silazane base coat is the hardest motorcyclecoating ever developed. The Topcoat prevents watermarks and stains, and prolongs the total durability of the Q2 base coating. GYEON Q2 DURAFLEX, Is an advance, two-ingredient and double layer ceramic coating, designed to suit the requirements of Gyeon Certified Detailers. The pure silazane Q2 Base coating is the hardest motorcycle coating ever developed. Q2 Flexi is a thick and extremely slick topcoat that has set new standards in gloss, hydrophobicity and durable self-cleaning. GYEON Q2 DURABEAD, Is an advance, two-ingredient and multi-layer ceramic coating, designed to suit the requirements of Gyeon Certified Detailers. Multi layers of Q2 Mohs as a base coat topped with a extremely hydrophobic, fluorine based top coat Q2 Bead result in incomparable hydrophobicity, self-cleaning and great durability. BLACKFIRE Paint Sealant is a premium paint sealant designed for the perfectionist. It creates an extremely slick finish and incredible depth with a revolutionary blend of three incredible polymers. Sourced from Germany and Switzerland, these polymers have a protective quality and depth of gloss that surpassed all others tested. BLACKFIRE Paint Sealant refracts light, similar to a diamond, to create a vibrant, super slippery, head-turning finish. GYEON Q2 Rim is the only quartz-based protection product dedicated specifically for use on rims. This unique formula is extremely heat resistant, making it ideal for use on rims. Once applied, GYEON Q2 Rim protects rims from exposure to brake dust and environmental contaminants, while maintaining a like new look about the rim. 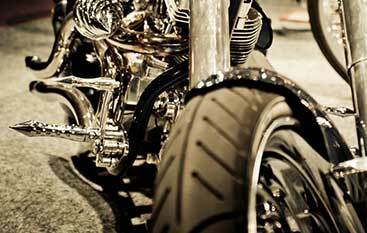 Your rims are exposed to more damaging contaminants than virtually any other area of your Bike. Aside the standard road grime, they’re also exposed to brake dust which causes irreversible damage to the finish of rims if not taken care of properly. The easiest way to maintain Rims is to seal out the contamination that causes the damage in the first place. GYEON Q2 Rim protects rims and makes it easier to keep them clean and free of brake dust. GYEON Q2 Leather Shield uses advanced quartz technology to create a protective shield on your leather. The superior protection provided by GYEON Q2 Leather Shield protects against dirt, UV rays, and the rigors of everyday use. 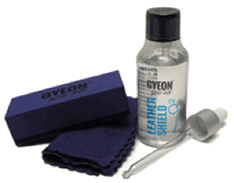 GYEON Q2 Leather Shield has been tested on all modern leathers to date and is safe for use on each of them! GYEON Q2 Leather Shield does not stiffen your leather surface, or make it more slippery and greasy – it makes it shielded! Due to constant exposure to harsh elements, your leather surfaces, if left untreated, tend to fade and wear. ©2018 Biketailing Specialties Inc.® - Do not copy. All rights reserved.